Developer Studio Fizbin is aiming to keep the point and click genre fresh with their upcoming game The Inner World - The Last Wind Monk. Check out the latest trailer. It's been less than a year since the first title, yet developer Studio Fizbin is eager to release The Inner World - The Last Wind Monk. Gamers get excited as new screenshots and an official release date is upon us. A new trailer has been released for The Inner World - The Last Wind Monk, sequel to the recently ported mobile puzzle adventure The Inner World, which sees Robert, Peck and Laura take on Emil, who's persecuting the flute-noses. The art style is clever and the people are lovable. It's a point and click adventure that many on other platforms have come to love and it's finally available on console. Will gives us his first impressions of the game. Two more screenshots have been released for The Inner World - The Last Wind Monk, the sequel to The Inner World, which is just launching this week on consoles after formerly being known as a mobile and PC title. Now that all of the announcements are out of the way, lets look at all of the other news to creep out of the weekend. We have updates, release dates, trailers and screenshots to peruse. Following on from parts 1 and 2, we now have the updates, release dates, screenshots and other details that were also revealed over the three day period. 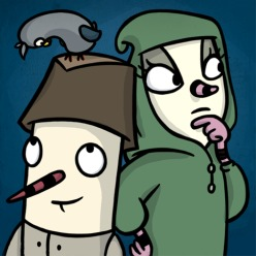 The first The Inner World game with trophies was The Inner World, which was developed by Studio Fizbin, published by Headup Games and released on 29 March 2017. 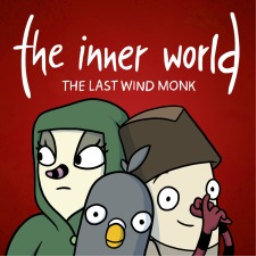 Since then there has been 1 more game in the series with trophies - The Inner World - The Last Wind Monk which was developed by Studio Fizbin, published by Kalypso Media and released on 24 October 2017.